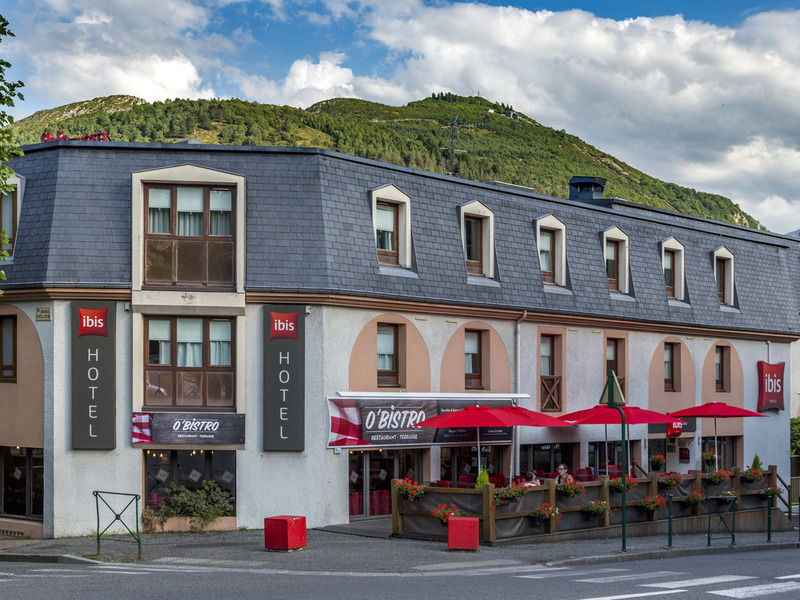 The Hotel ibis Lourdes Centre Gare is ideally located to allow you to discover all of the best places that the town has to offer. Discover the Sanctuary and the Grotto, a place for reflection, visited by millions of people each year. Discover the Middle Ages with a visit of the Château Fort and its museum. Discover the Pyrenees! Stayed for 2 nights. I both have gold and silver cards but i booked thia hotel using my accorplus/leclub silver card. Check-in staff said it was only valid in Asia, hence benefits did not apply. Gave a welcome drink voucher anyway when i explained it was a silver card despite Accorplus logo. Buffet bfast spread was adequate. Room was tiny for the 3 of us. Barely had space to move. Other ibis hotel rooms across europe and asia more spacious. Presented my Accorplus card at check in around 7PM 06APR2019. Male receptionist failed to recognize the card as a silver card despite being embossed as such on the face of the card. Claimed it is only valid in Asia. Hence, no late checkout benefit availment. In contrast, the other male bemoustached tall staff was friendly, accommodating, gregarious. This has got to be the smaĺlest ibis room i've stayed in. we have been staying at Ibis hotel always whenever we go to Lourdes. we really love Ibis because the staff are all great. And we will still keep staying there. We had a great stay at this hotel! It was our first time at an Ibis Styles - and it sure did not disappoint. The room size was just right, breakfast was great (croissants were fresh -yum!) - and most of the staff was helpful. Evangelos always warmly greeted us and was attentive to our needs. He knows how to engage guests - and he speaks English well. The elderly gentleman (who wears black shirt and pants) who is in the early morning shift was also very accommodating - we just forgot his name, sorry. Location was convenient - across the train station. There is a Sixt rental car and Carrefour just steps away. Easy to reach the main tourist and historical spots. A great base also for visits to other cities such as Avignon, Carcasonne, etc. because of the train. The room was quite clean and cleaned them every day and the breakfast was lovely. It’s my second year . I will always book this place for my pilgrimage trip. Fatima is always helpful and welcoming. Breakfast was very good, beds really comfortable, as usual. Location meant we had a short walk to the main site which was good rather than being on top of everything. Only problem was that the telephone could not be used for one evening because of continual ringing if the handset was placed back or continual music. Very annoying. Reception told us to unplug the phone, only solution, which was very inconvenient as there was no signal for our mobile phones and so there was no access for us to phone out or receive calls. Sorted in the morning but problem was not resolved in 15 minutes! We booked two rooms, and we requested to be placed next to each other since we have children but the best they could do is to put us two rooms apart. It would be nice if pre-plannning is made to make sure connecting rooms are in placed for families. The breakfast was simple, there's not plenty of selections and the coffee is thin, you could not taste the coffee beans anymore it is like water. The room was pleasant and the beds and pillows so comfortable - the usual standard of Ibis. Breakfast was excellent with a great selection constantly being renewed. The location was just fine because it is a short walk to the main centre, either down some steps near the hotel or down a road opposite the hotel. We enjoyed this location rather than being in the town part. Lourdes was wonderful and we enjoyed every minute , exploring everything and also unexpectedly being part of various amazing services, especially in the Basilica. We can't wait to return. Parking was very safe too, although not sheltered, but a coded gate was in operation. Thank you.. a great stay. Excellent team, all them focusing on customer, well done. Arrival and secure car parking very easy. Warm welcome. Room small but adequate. Would have appreciated tea and coffee making facilities in the room. Restaurant ambiance and food good. This hotel is very consistent and the service is always excellent. This hotel is situated in a very ‘specialised’ area and all guests need a bit more time and attention in order to assist them. With the volume of guests that come through this hotel it’s very easy to process them like a factory conveyor belt. My experience at this hotel the staff show a bit more concern and attention to detail. Quiet, clean hotel with excellent staff. We also enjoyed the generous breakfast.